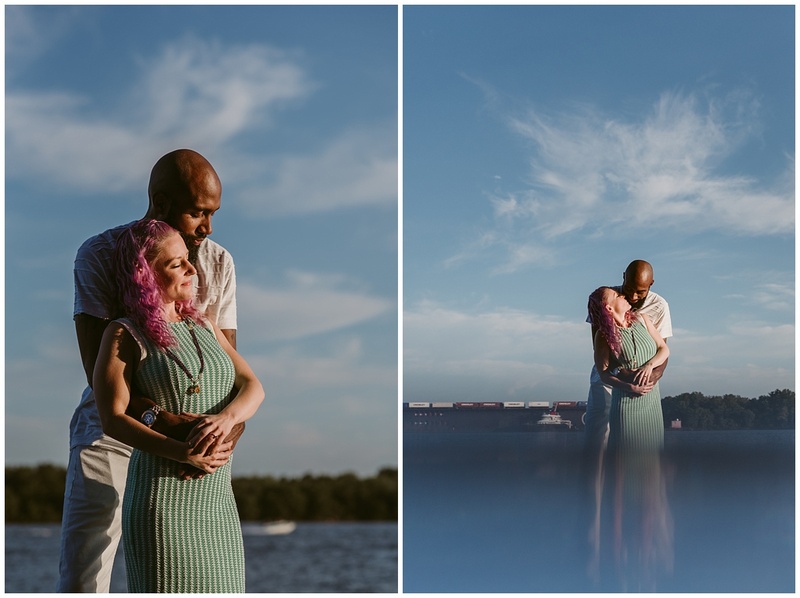 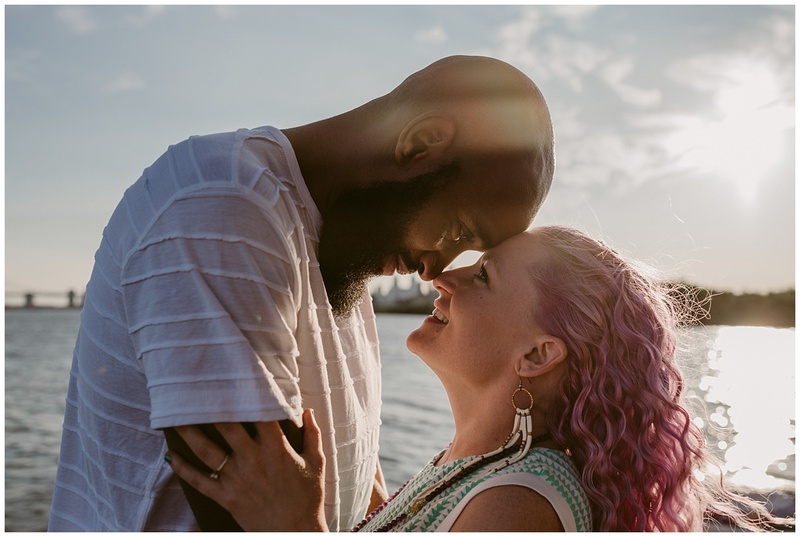 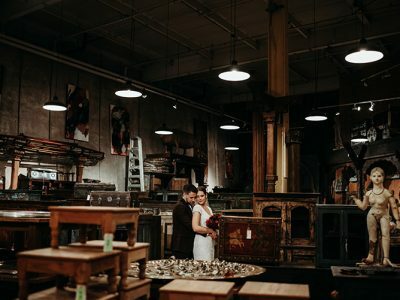 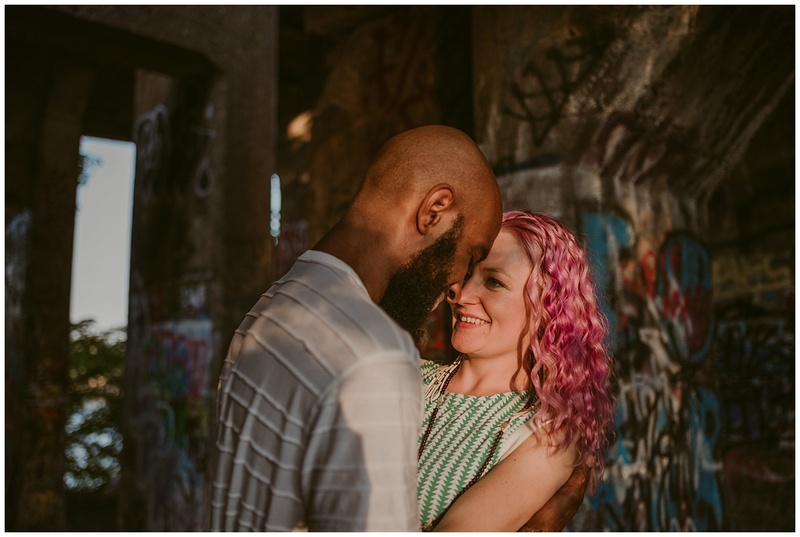 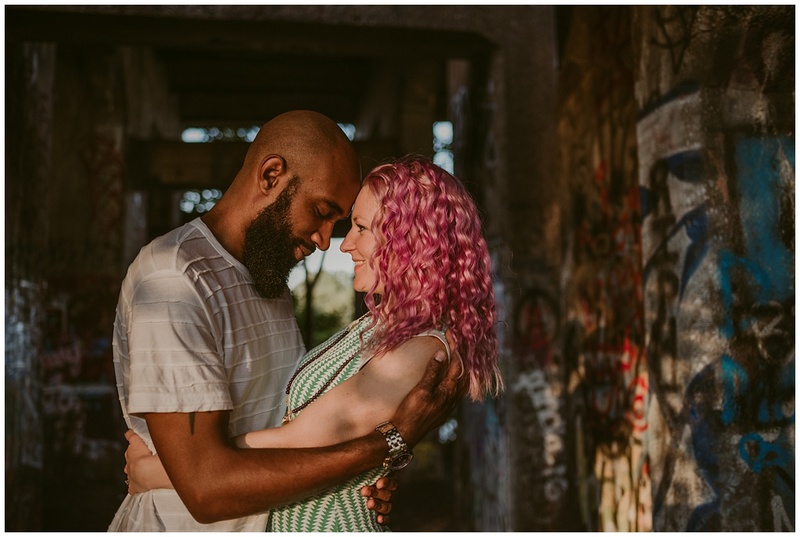 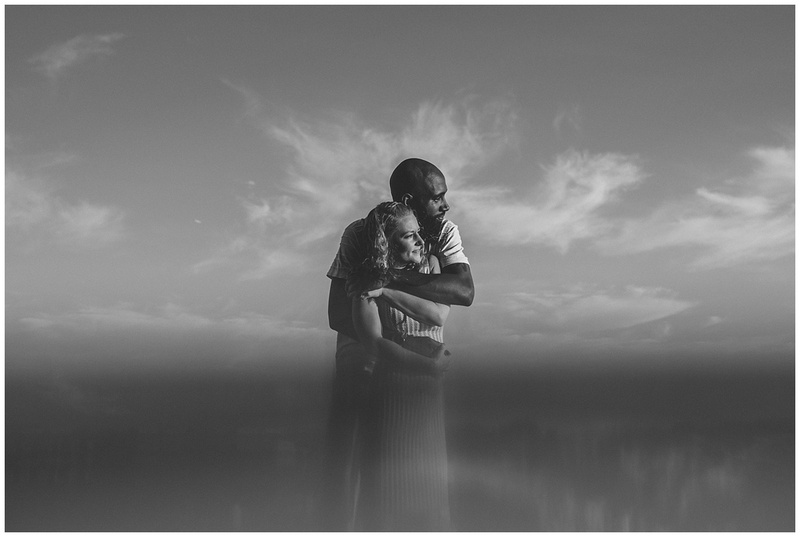 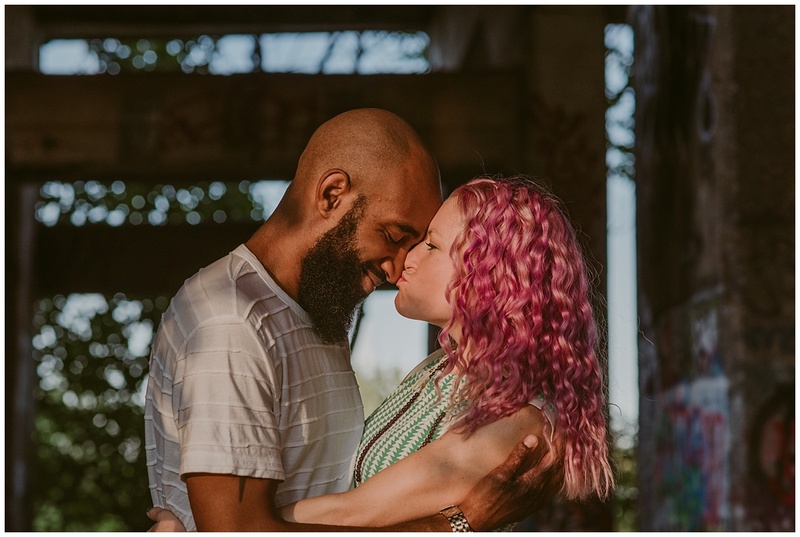 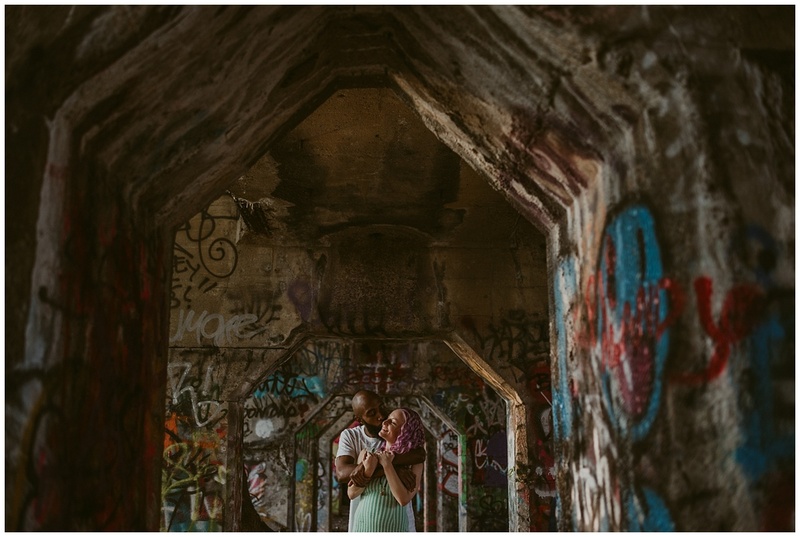 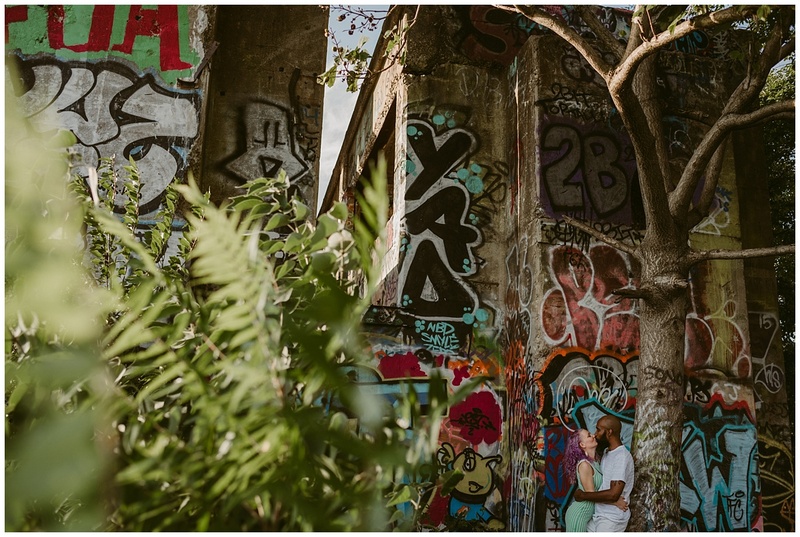 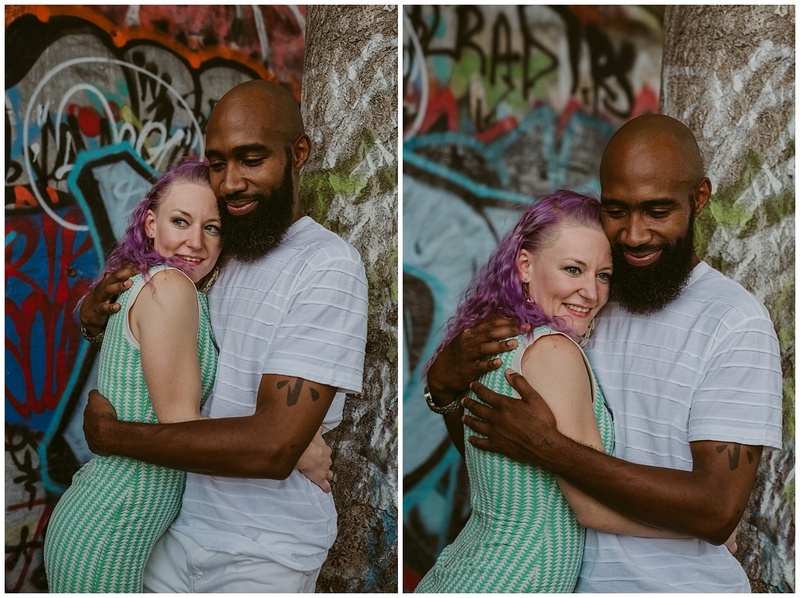 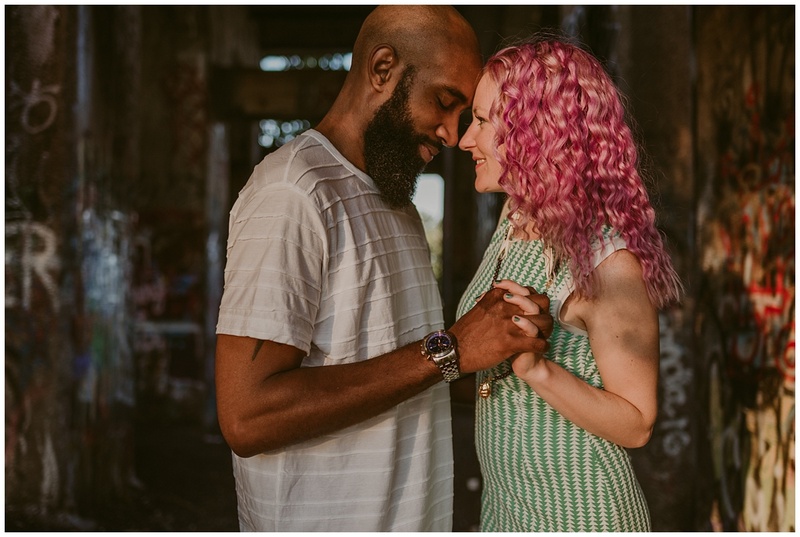 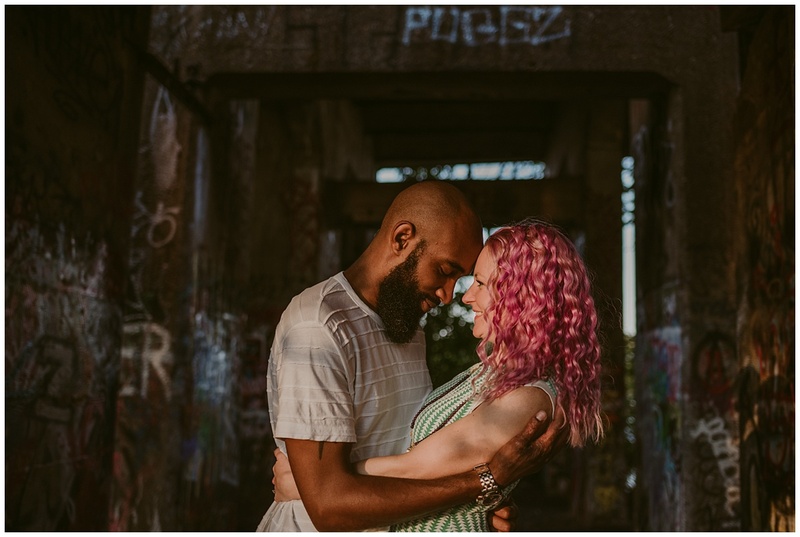 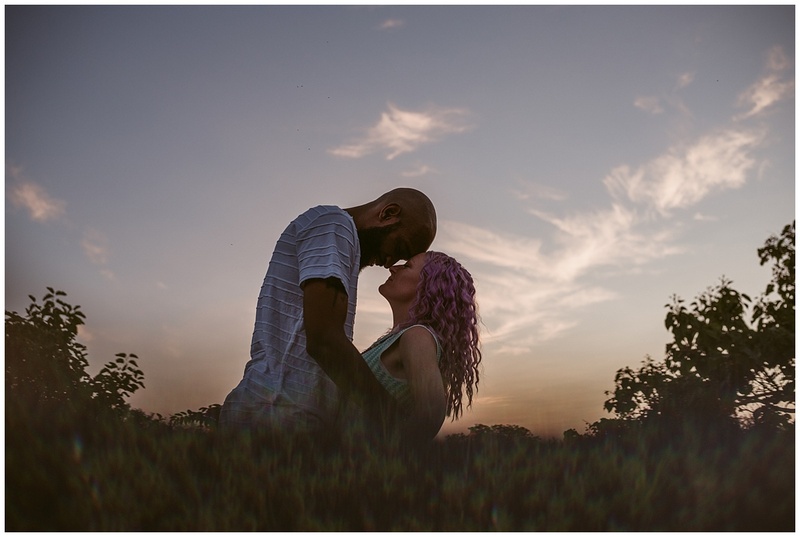 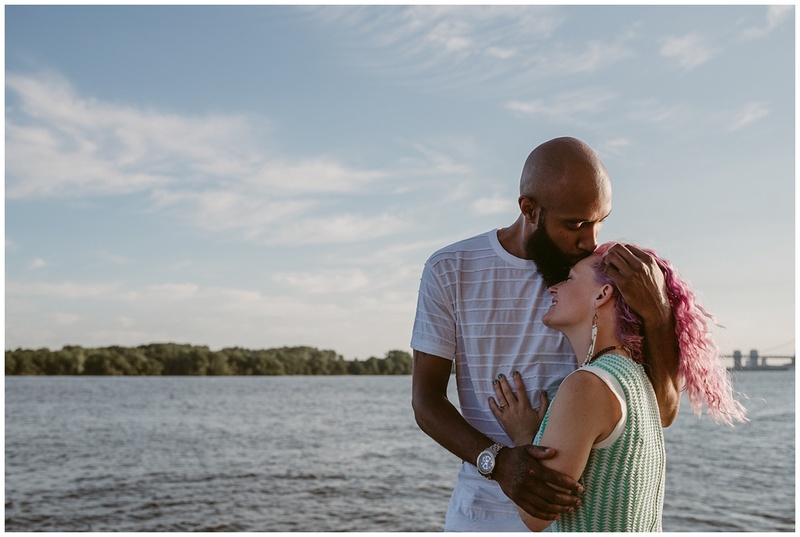 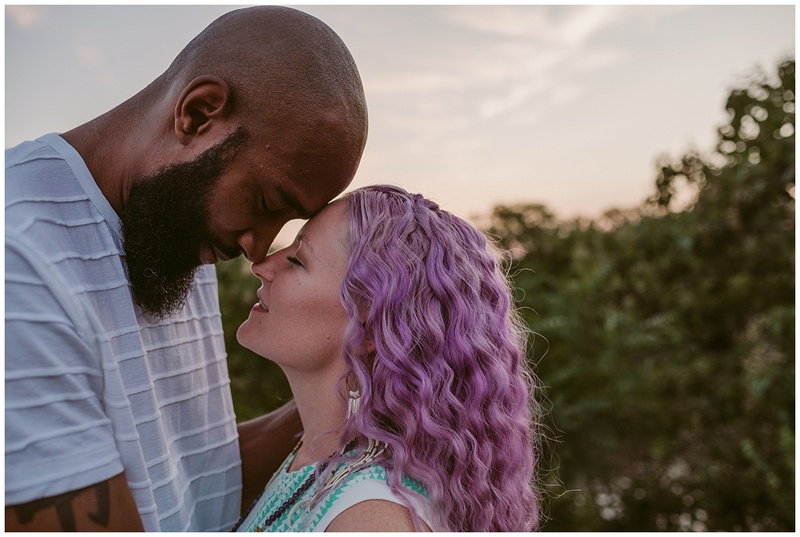 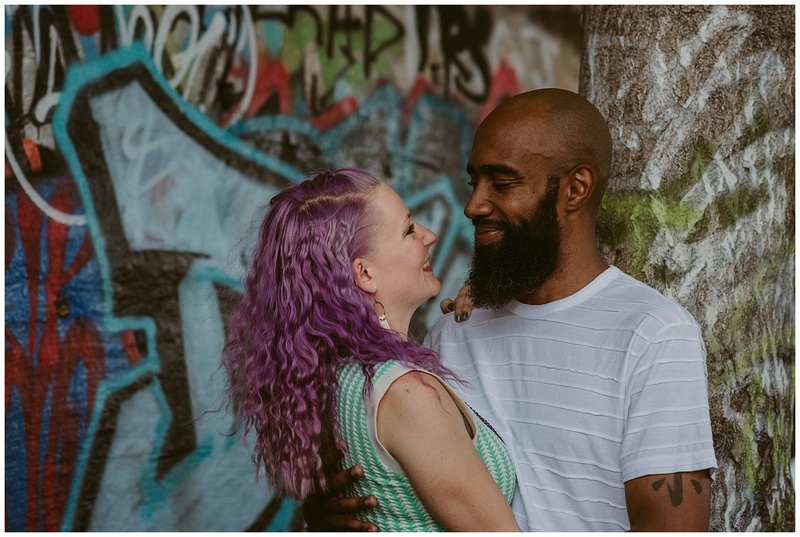 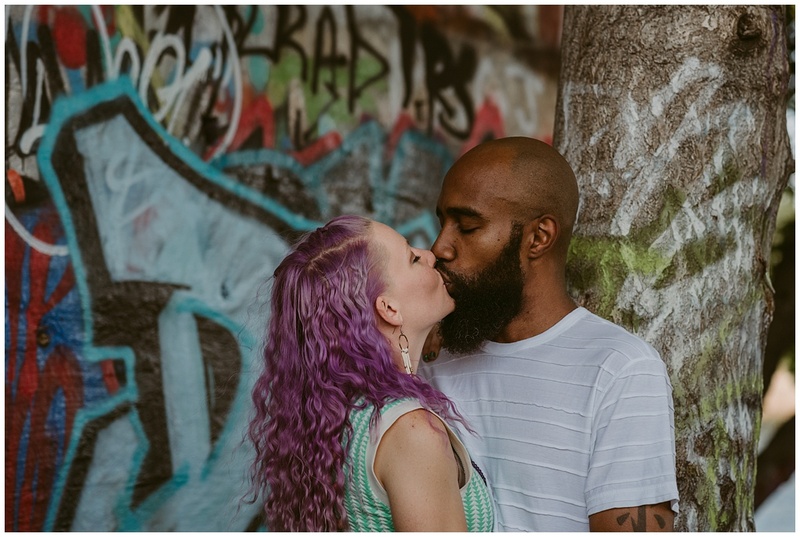 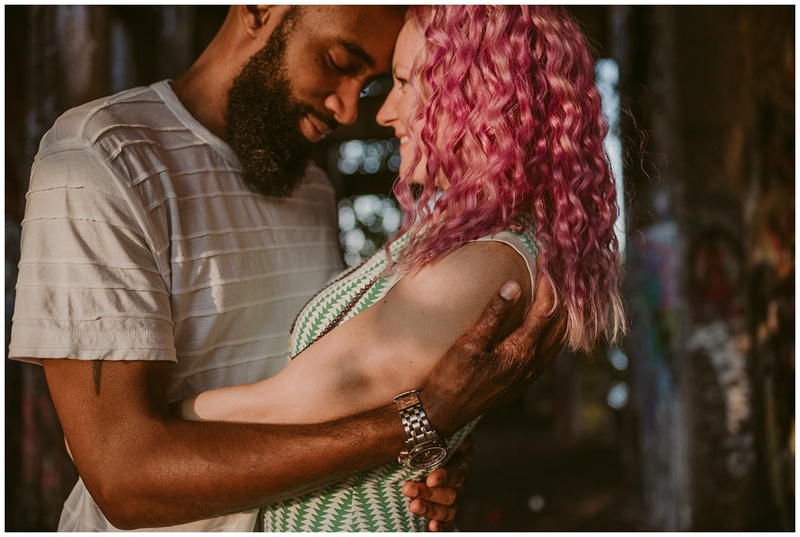 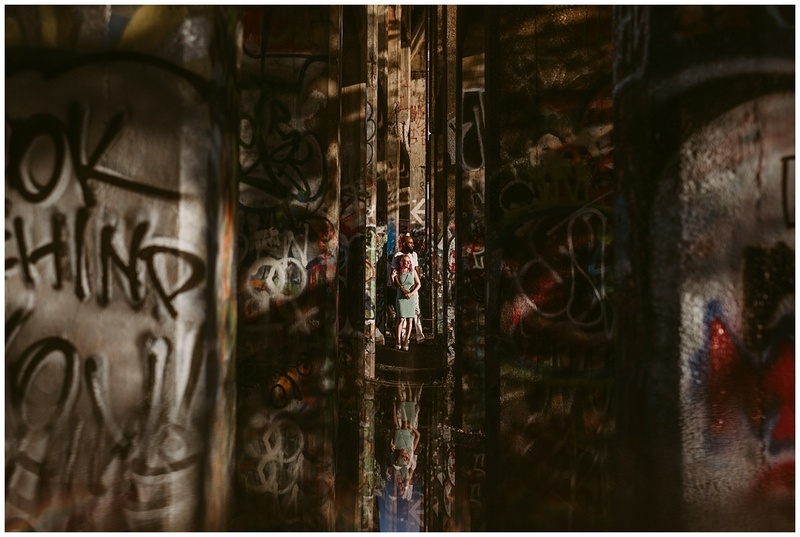 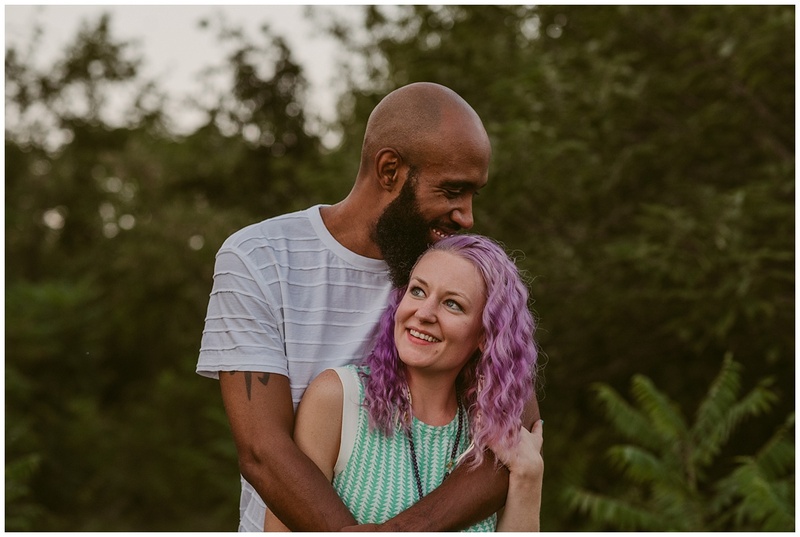 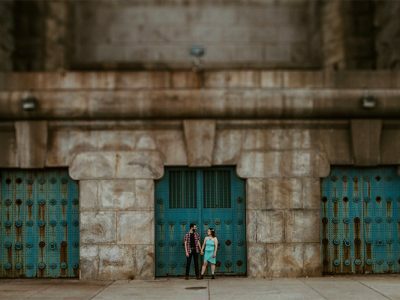 Our Fishtown Engagement Session at Graffiti Pier with the incredible Tara and James. 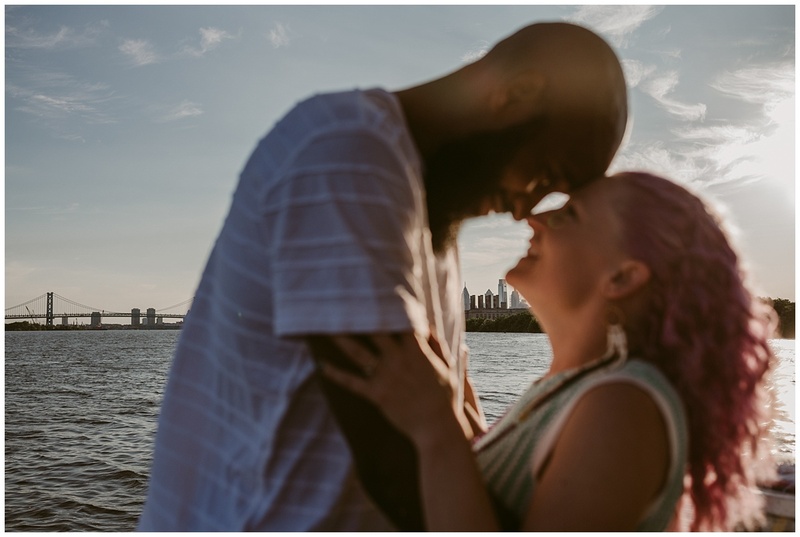 We love when couples find us through friends, family, or good old google and choose us to document pieces of their lives. 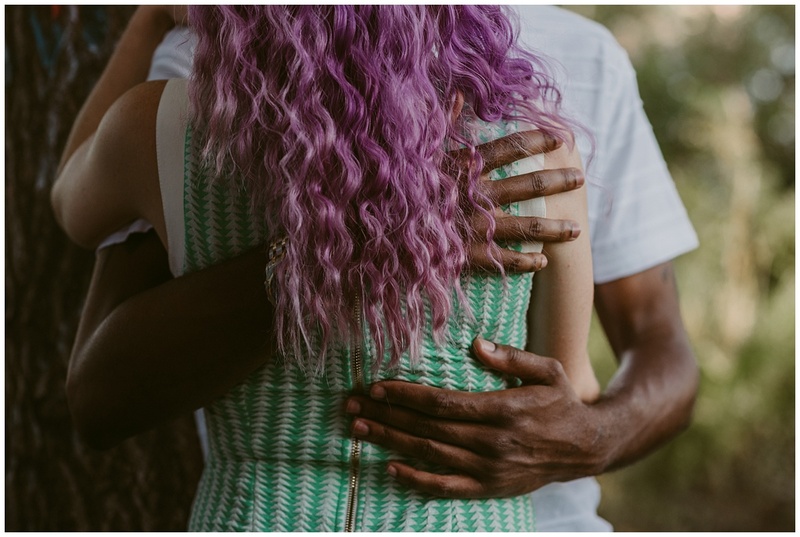 It’s powerful and the connection we form is really meaningful to us. 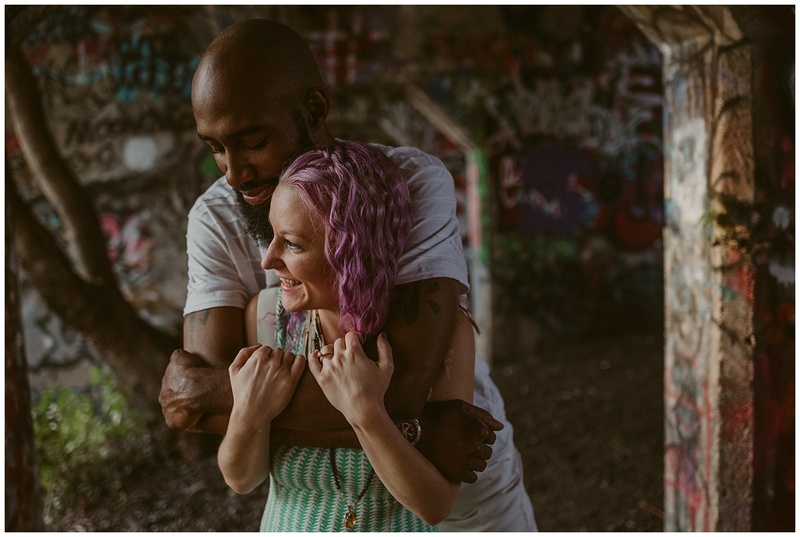 There is something extra special, however, about photographing people we already have a tie to. 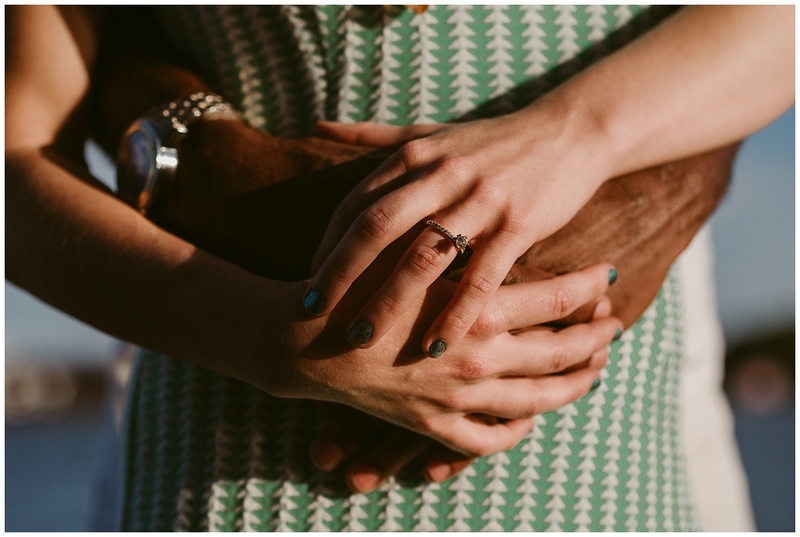 We know we’re being picked not only for our work, but who we are as people. 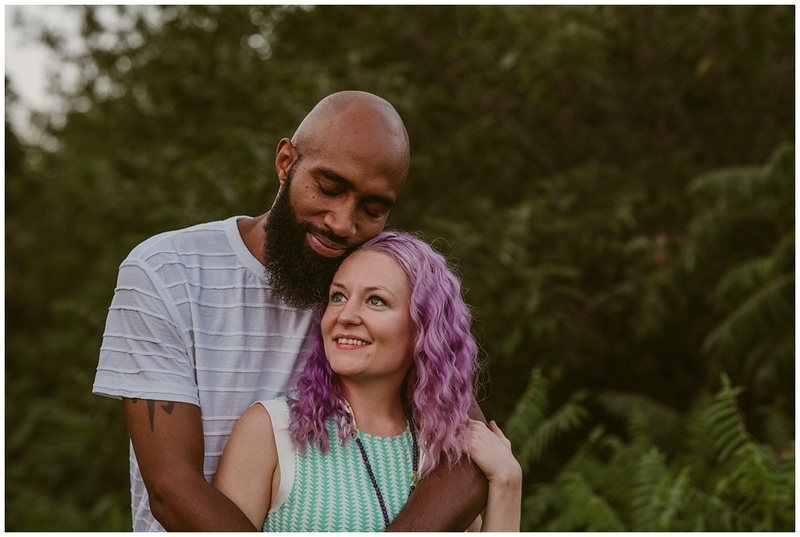 We met Tara and James before they were a couple, back in our restaurant days (hey Jones crew!). 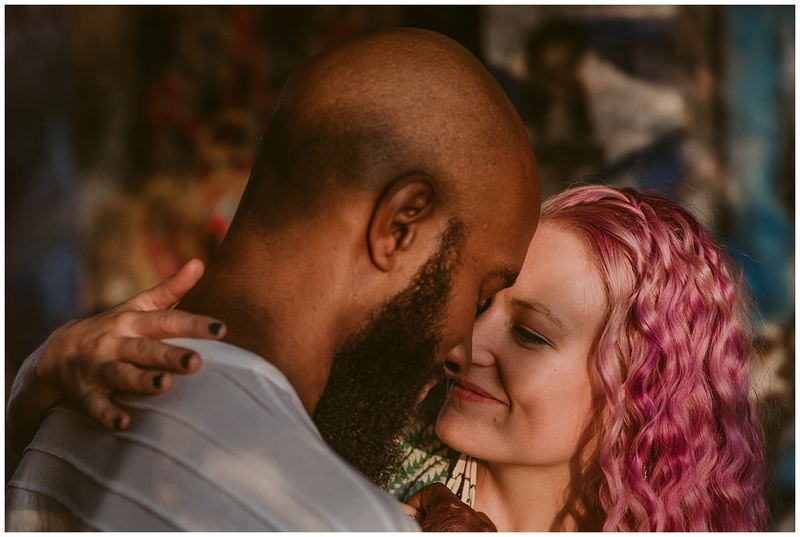 Getting to see a love begin and evolve is magical. 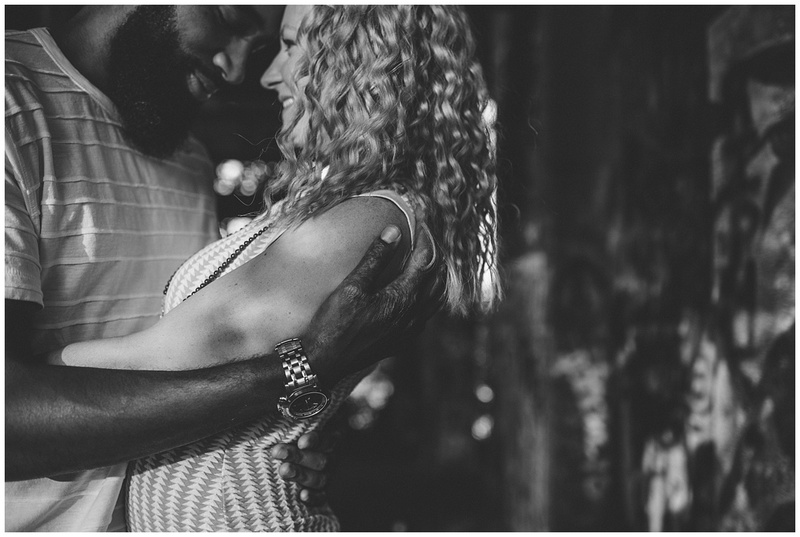 Being chosen to document a large step in that evolution is an honor. 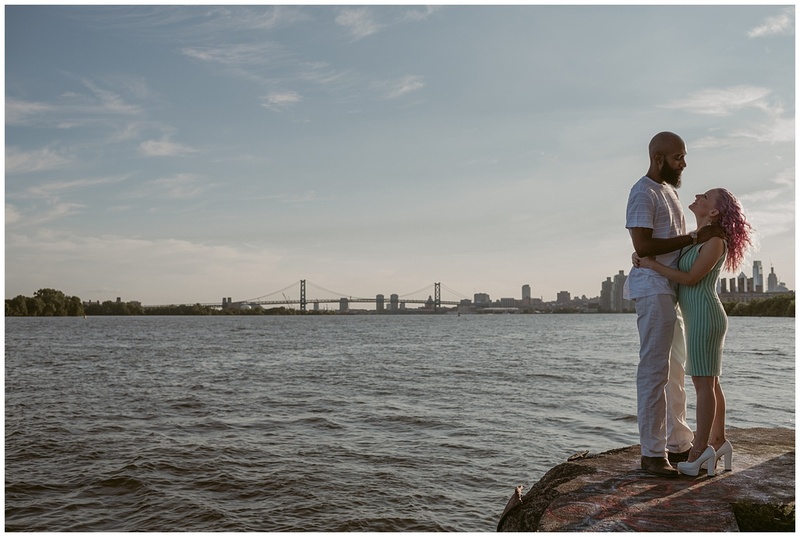 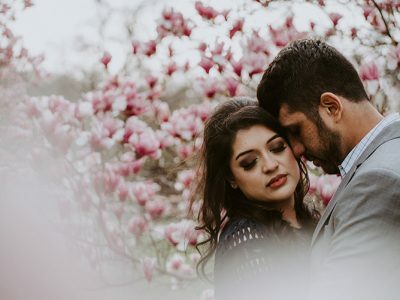 For these love birds’ we thought a Fishtown engagement session at Graffiti pier was perfect. 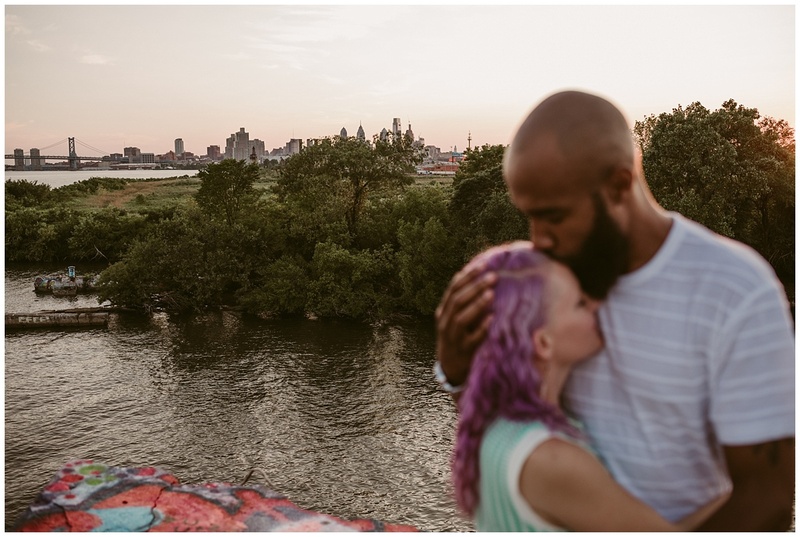 It’s become a favorite spot of ours and the colors, city view, and uniqueness of this space fit this happy, fun, and wildly in love duo. 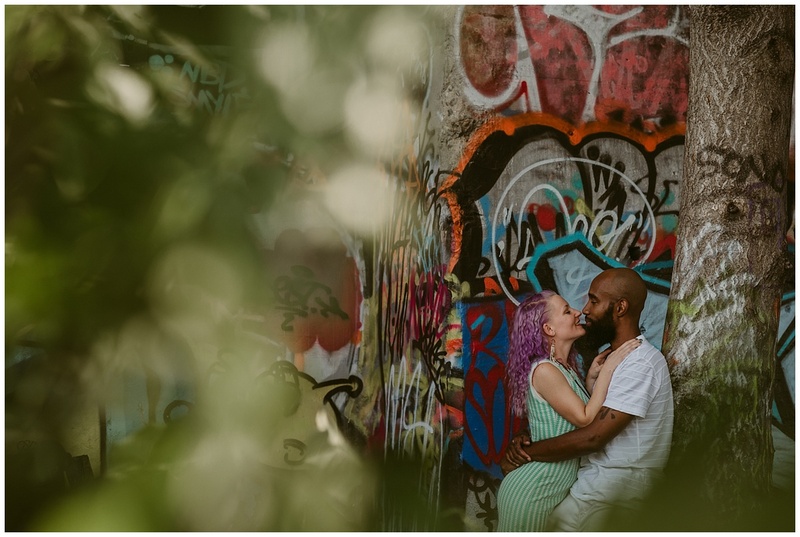 Thank you, Tara and James, for the laughs, climbing trees with us, showing us this side of you, being both adventurous and intimate, and for the mini Rammstein rock out. 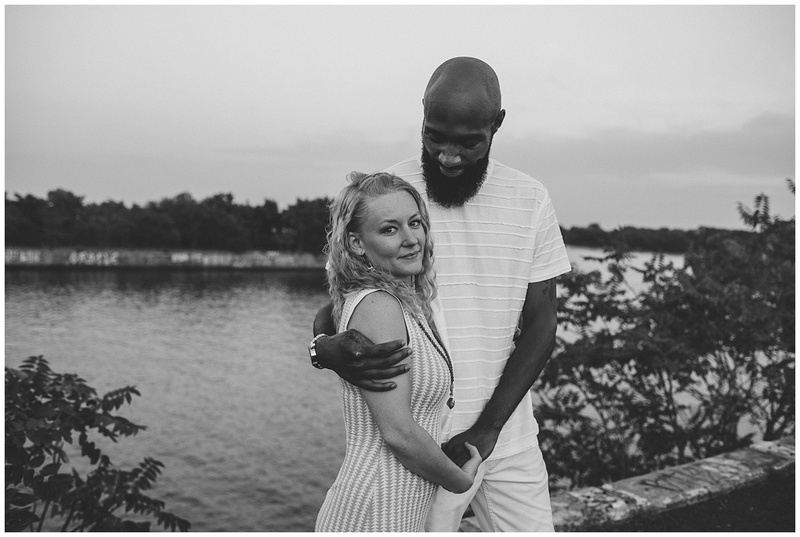 😉 We will cherish this day with you for a very long time.